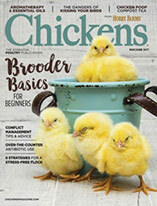 In the first of this three-part series, we consider the basics of breeding chickens. Welcome to The Hatch, a three-part series that will take you from breeding to the brooder. Look for upcoming installments on incubation and brooding. Chicken breeders usually fall into one of two categories: the serious/dedicated breeder, often with the goal of preserving rare breeds, or the backyard hobbyist, interested in the fun and experience of hatching chicks. Each approach has vastly different goals, so the means to each end have few similarities. The former requires diligent work, patience and good record keeping. The latter is often a hands-on learning experience, with a lot of fun and experimentation along the way. Each has merits, and the breeds we know and love today wouldn’t be what they are without a bit of both. 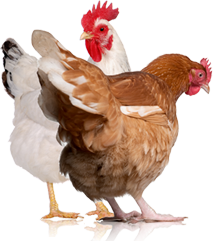 The most common method of breeding chickens is called linebreeding. Linebreeders aim to improve stock and carefully maintain rare breeds. Linebreeding is, to put it directly, scientific inbreeding. Starting with a related pair or trio (two hens and one rooster), the birds are carefully bred in isolation, and the resulting chicks are thoughtfully monitored and culled as necessary (more on culling later). This method of breeding is a complex, long-term project not for the faint of heart. Only true breeders, passionate experts on their breeds, will take on this method. They will perfect it to produce birds up to the breed’s standard, a written description by the national breed club of how an ideal member of the breed should look and act. The best way start professionally breeding a particular strain is to source a breeder who has diligently worked on a particular line and buy a pair or a trio from that individual. Novices should avoid raising breeds with traits that might lead to severe health impairments if not monitored properly, such as short-legged breeds and those with ear-tuft genes and frizzles. Often, breeders will not sell hatching eggs for this purpose; there are many unknowns, and the birds that hatch might not be up to standard for breeders. Once you’ve found your source (and, we hope, a mentor), you might have to wait a significant amount of time to receive your birds. Be patient! It will be worth the wait. Breeders can be quite particular about who they send their birds home with, so you might encounter an interview process to qualify as a buyer. particularly their reproductive details, including how mating occurs, how a hen’s eggs are fertilized and which eggs to hatch. A good place to start is “Poultry Genetics For Small and Backyard Flocks: An Introduction” by Jacquie Jacob of the University of Kentucky Extension. Sourcing your pairs or trios from a reputable breeder—and probably paying quite a bit for them—should be the last thing you do. Have everything ready once you get them home. Proper breeding also means having the right housing: Your pair or trio will need separate housing from any other chickens you keep. Most breeders using these techniques won’t allow the hens to sit on the clutch, hatch the eggs and raise the chicks herself, so you will need incubating equipment and brooder space and gear to care for the young birds. Linebreeding with trios and pairs is a meticulous process, but it makes selective breeding possible under controlled mating environments. Your goal will determine whether this is the right breeding path for you. For chicken keepers not interested in showing their birds (see “Show & Tell” on page 50) but who want to expand their own flocks, many possibilities exist. The blanket term “flock-breeding method” covers multiple approaches, including isolating a few of your hens with a particular rooster and hatching chicks from the birds kept in your flock as they are. Of course, chicks hatch only from fertilized eggs, so if you don’t have a rooster, your hens’ eggs will not be fertile and will not hatch. You might be surprised at how many non- and new chicken-keepers don’t realize that. Many backyard poultry-keepers dabble in breeding by hatching fertilized eggs in an incubator. This requires a bit of planning (finding and sourcing fertile eggs from a breeder), some investment in equipment (an incubator and a brooder), and some knowledge on rearing chicks and their particular needs. 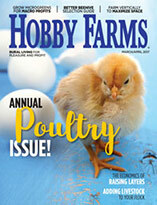 Another—and probably the most common—way hobbyists become novice breeders is noticing when a hen goes broody and letting her raise the chicks. Going broody is the hen’s urge to remain on the nest unmoved, with the intention to hatch eggs. Some breeds, such as Cochins, Orpingtons and Silkies, are more prone to this behavior than others. Are you ready to expand your flock and considering hatching your own birds? 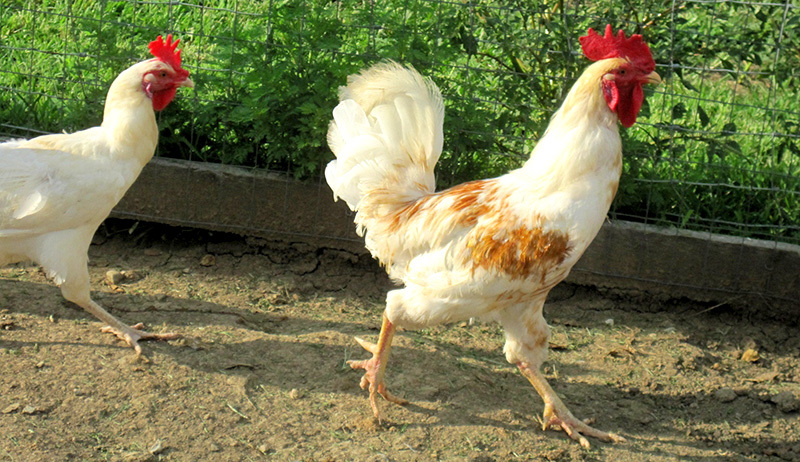 Do you have a single-breed flock with a rooster, or are you curious to see what your crossbred chicks will look like? As long as you’re prepared to care for the resulting chicks, it can be an enjoyable experience. Also, realize that chickens hatch at a roughly 50/50 female-to-male rate, so have a plan for those unwanted cockerels, which will start crowing in four or five months. Here are some other tips to help you get started in one of two ways. When hatching chicks in an incubator, you can determine the timetable and choose the time of year. Rather than relying on a broody hen, collect the fertilized eggs you wish to hatch over the course of a few days when you’re ready. You’ll need to add equipment to your arsenal to hatch chicks this way if you don’t have it already. You’ll need an incubator, of course, as well as a safe brooder box in which to raise the chicks, complete with a proper heat lamp. When you’re ready for new chicks, watch your hens closely. When you notice one is broody, assess her temperament and potential to raise chicks. Not all broodies make excellent mothers; thankfully, those breeds prone to broodiness also usually happen to do great at rearing young. Immediately move your mama-to-be to an isolated broody pen. This space should be a secure enclosure, safe from predators. Design it so that she’s comfortable with warm, soft, dry and relatively dark nest boxes, and consider the space’s capability of housing chicks. An adult flock will almost inevitably kill chicks that are released into the coop with them. Don’t take any chances. Isolate the broody hen through the duration of her incubation and until the chicks are the size of adults and fully feathered. Only then should they be combined with the rest of the flock. For those aiming to refine a breed standard and save a rare breed, culling is essential. Culling is the process of weeding out birds that exhibit undesirable traits. Culling is not synonymous with harvesting, however. You can also cull a bird from your breeding program by putting it with the other nonbreeding birds, giving it to a friend or rehoming it in another way. For better or worse, the best breeders are ruthless in their culling practices. They cull often and early—when their birds are still chicks, in many cases. What traits you remove from your breeding program are entirely subjective: Your choices rely heavily on the breed you’re working with, the traits you want to see flourish and those you want to diminish. There are many ways to go about breeding your birds and many reasons to make any series of choices. Most importantly, the breeder takes responsibility for the birds he or she brings into the world. Make sure that caring for additional birds is within your budget. If you plan to cull any birds, have homes in place for those birds before breeding. Also, prepare housing for the largest number of chickens possible; that way, you’re never short on space when the time comes. Breeding your own chickens is an exciting, rewarding activity that can expand an existing hobby or spark a lifelong passion. If this has piqued your interest, start your research and get hatching.